Ash wants to become a Pokemon Master someday, but it may take a while! 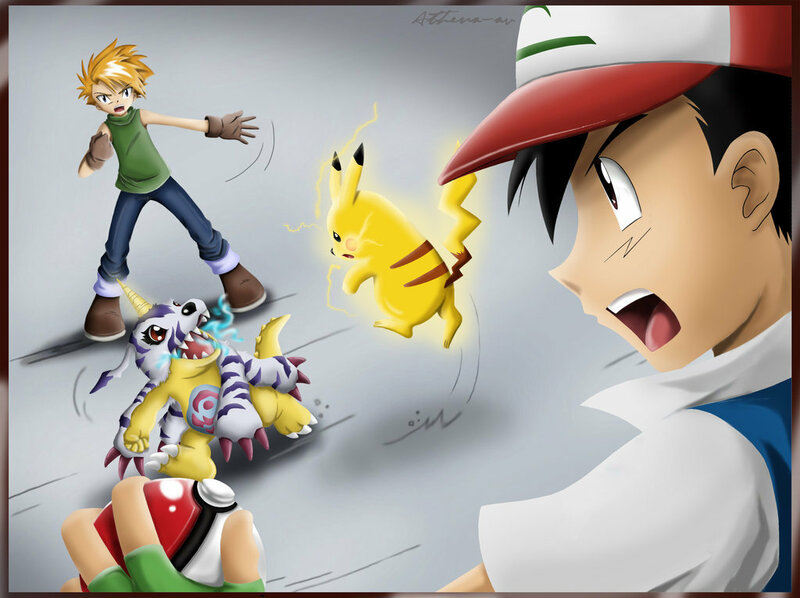 His pokemon skills aren’t enough to take down Matt and his Gabumon. When Gabumon digivolves into his champion and mega forms, there are few who can stop him. Ash has lost this round, but maybe he’ll be back. Matt wins. Jynx makes her blog debut, but in the end it’s not enough to win. Matt has Omnimon and with it he can take down many opponents. Jynx may have some pretty impressive ice powers, but Matt’s just too fast and too strong. One good Omnislash and Jynx is as good as gone. She drops in the blog ranks. Matt wins. 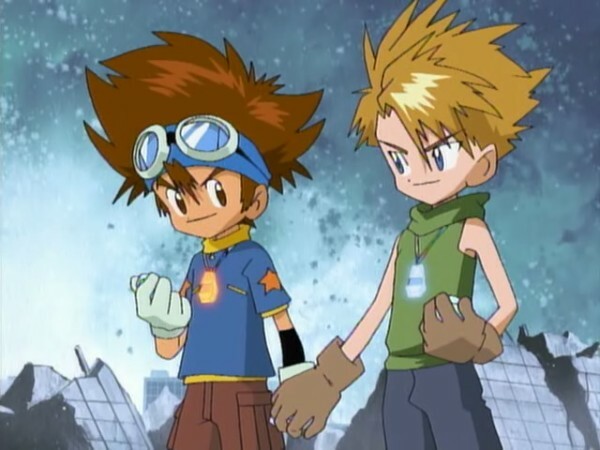 Tai is a digimon trainer of immense power. With his Agumon there are few opponents who can take him down. They just didn’t have the skills. Of course Matt is also an epic trainer. He has the skilled Gabumon who can turn into the legendary Omnimon! Of course, so can Agumon. Plus Agumon can turn into War Greymon! 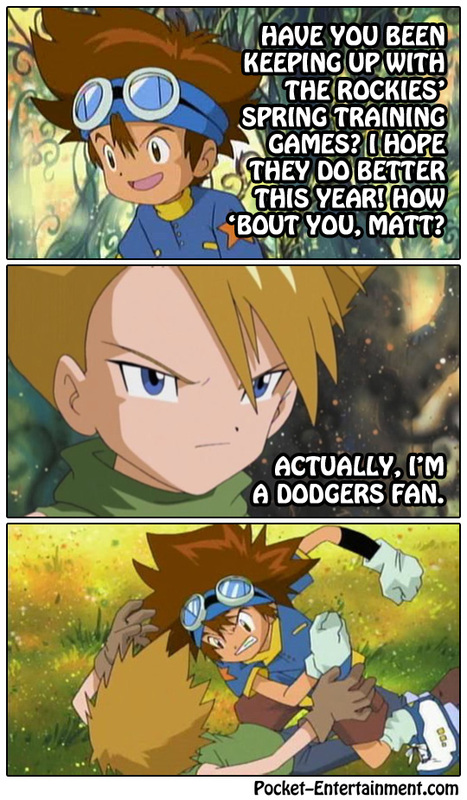 Matt and Tai will always be rivals, but Tai takes the match. 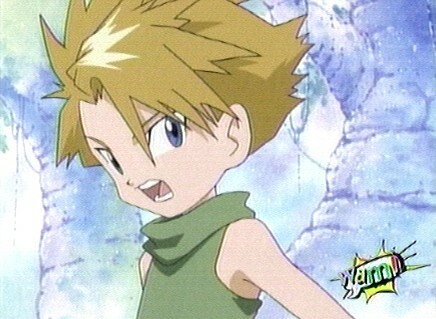 In a fist fight with Matt he may lose, but in a battle of digimon stopping him is pretty much impossible. Tai wins.